Readers continually ask me about the joys of Ecuador… and I reply that Merri and I first love the people… then the land and of course the great weather, low prices and opportunity. 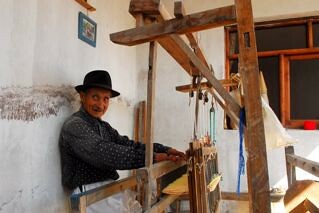 The sweet people of Ecuador include this weaver. Our daughter Francesca who has been living in Swaziland sums it up in the note below. If you’re into self development and personal growth, I highly recommend a stint traveling or living in a foreign country, and if you’re in for an additional challenge, a country that speaks a language different from your own. I feel blessed to have had the opportunity to travel frequently since I was a child, and traveling overseas has now become a way of life, having lived and/or worked in 12 countries since I graduated from university 10 years ago. In every new country I travel, I experience a whole range of joys and challenges that leave me incredulous at the beauty and diversity of both humanity and our planet. It becomes almost addictive, the ongoing realization through such experiences that, while we are all so incredibly different, we are also profoundly similar. That no matter what you eat, what language you speak, whether you have lived through poverty, wealth, war or peace, that a parents’ love for their child, the humiliation of failure, the contentment of a stomach well fed and the smell of freshly cut grass are universal. To me, the challenge of living overseas is to have the courage to overcome what can at times appear insurmountable differences between your own ways of living and interacting and those of a different culture – to accept the awkward, the alien and the contradictory. The joy is that in doing so, you sift through much of what is social engrained and culturally specific to your own upbringing, and begin to see the values that are common to all humanity, as well as the values that are uniquely important to you. – Humility. Living in a different culture to your own will inevitably result in your looking like a complete idiot at one time or other, and if you’re like me, on a daily basis, which can be quite a humbling experience. There will be boundless opportunities to use the wrong word, wear the inappropriate attire, break some cultural taboo. When my mother worked as an au pair in France, she told her host family that she was ‘pregnant’ (pleine), rather than ‘full’ (plein), after a tasty meal they had served her. Even within the same language, there are abundance of opportunities for confusion and embarrassment. When traveling through North Carolina with my family, we stopped for a snack. I asked in my usual English accent for four waters. The lady at the counter looked bemused and darted around the back. She returned soon after, explaining apologetically that they didn’t sell ‘otters’! – Gratefulness. I am full of boundless gratitude for the generosity of the friends and acquaintances, in pretty much all the countries where I have traveled, giving me the benefit of the doubt that I was not actually trying to insult them when I made yet another cultural gaffe, but it was merely that I am a clumsy ignoramus. In Swaziland, where I have been living for the past two-and-a-half years, it is considered extremely rude to hand over food with your left hand. It took me a good few months to realize this, before someone shyly pointed out my indiscretion, and it then another few weeks before I managed to train myself not to do it instinctively. Never once did my friends or colleagues show me overtly their distaste of my behavior, although, once aware of this culture, I noticed a looked of suppressed surprise on the odd occasion that I forgot myself. I, in return, committed myself to not taking offense when confronted with what were, at times, behaviors or situations that were personally quite offensive, such as the practice of polygamy (in Swaziland) or having to eat snails of a remarkably large size (in Nigeria – they were about the size of a tennis ball!). – Open mindedness. For me, one of the most amazing things about traveling or living in a different culture is learning that so many of our most fundamental assumptions about life are in fact only that – assumptions – socially engrained from birth onwards. My time in Swaziland has expanded my horizons incredibly in this sense. Most Swazis have so little materially, in fact 70 percent of the population lives below the poverty line (one dollar a day), which is tragic by any standards. However, their sense appreciation of life that is not filled with material things is impressive, while their hope for the future, even in the most desperate of circumstances is remarkable, and certainly puts my daily irritations and stresses into perspective. Their strength of community is also a refreshing alternative to the urbanized and individualistic societies in which most of us live in the west. Every country I have been to, has provided me with unique insights. If you’re game for some personal exploration, combined with international adventure, I would highly recommend getting out your atlas and passport. With an open mind, genuine interest in learning something new, and a conscious effort to engage with the people in your selected destination, unforgettable experiences are no doubt in store. Certainly, I will always cherish experiencing different countries and cultures, and aspire to emulate the cultural aspects I admire most, in some small way, no matter where I call home. My experiences of different countries have truly enriched my life, and have undoubtedly made me a better person. There have been blunders and unintended insults along the way, but every one of them has been character building, and the laughter and joy has far outweighed any tears. The joys of Ecuador include the happy children. Here they play football on the beach in Manta. 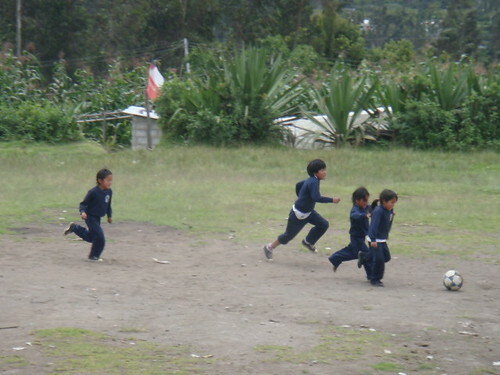 Here Ecuador children are a joy playing football in the Andes. May, wherever you go, you find joy. Another Ecuador joy is learning together. 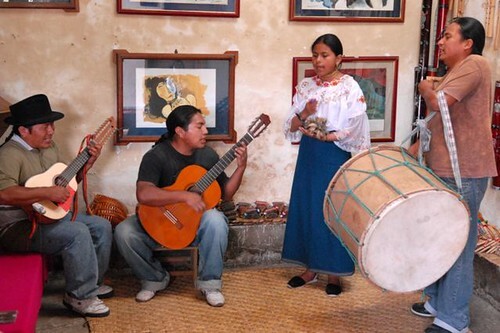 Here a group of delegates relax at Meson de las Flores after a day’s tour. Enjoy savings by attending our real estate tours at the same time. 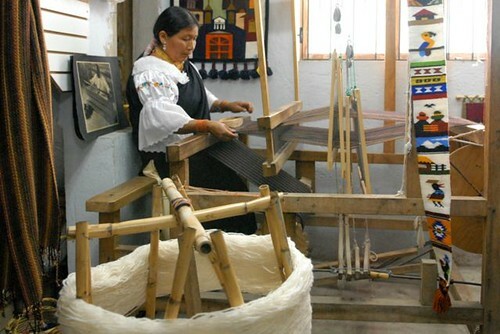 Because Merri and I will not be conducting the July tours, our 2-4-1 offer lets you attend the July 2009 Ecuador export tour free if you enroll in one of our three International Tangled Web Business & Investing Made EZ courses, in July, October or November that we will conduct. There is no need to hurry either. If you are not sure about attending two tours, sign up and attend the July export tour now… then we’ll knock the tour fee off our International Tangled Web Business & Investing Made EZ courses, in July, October or November fee later. 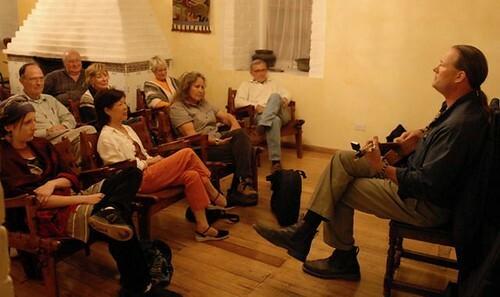 For example, if you choose to attend all three of the July Ecuador tours… both real estate and export tours, then you can have the two or three courses discount and still attend a July, October or November International Tangled Web Business & Investing Made EZ course free. The 2-4-1 offer expires April 30 2009.